You might think listening is an automatic response, and it’s true it can be hard to shut out the noise of the world around you, but effective listening is about processing the sounds and responding appropriately to the cues. Effective listening is an essential skill for learning and it’s something you can help your child develop. If your daughter learns to listen well, she’ll be better at gathering, analyzing, storing and retrieving information. She’ll be more able to use that information to make the intuitive leaps needed to understand what’s being taught at school. Her language and communication skills will be stronger making her better at seeking clarification, expressing ideas and sharing her thought processes; this leads to increased engagement in the learning activity that will help her consolidate her new knowledge more effectively. Socially, she’ll form stronger relationships with others; by listening to others she’ll find it easier to find common ground, develop empathy, manage any conflict and provide support. She’ll feel more included which will, in turn, improve her self-confidence and self-esteem. She’ll gain more pleasure from social activities and feel able to get more involved. Playing games that involve sound can help your daughter associate sound with meaning. You can use rhyming songs and games to help her learn anything from counting to brushing her teeth. You can encourage her to listen more carefully by taking her on a sound walk to give her the opportunity to explore the world around her with more than just sight. Playing verbal word games, such as Twenty Questions or I-Spy, will help her concentrate on what’s being said, extract the relevant information and use it to formulate an appropriate response. This will also help develop the neural pathways in her brain that support memory. Children learn by imitating the adults around them and by demonstrating good listening skills you can make sure being a good listener becomes second nature to her. This includes; paying attention when she talks to you; maintaining eye contact, crouching down to her eye-level if necessary; reflecting her words back to check your understanding, encourage her to add information, or as a subtle way to correct mistakes in her use of words or tense; and asking her to repeat what she’s said if you can’t grasp her meaning. When you’re talking to her, it’s important to remember she may not be able to cope with several instructions at once. Starting with simple directions, making them more complex as she develops, will teach her how to listen to and follow instructions. Talking about a story you’ve read, asking about her favorite character or the best part, will get her used to remembering what she’s heard for later use. 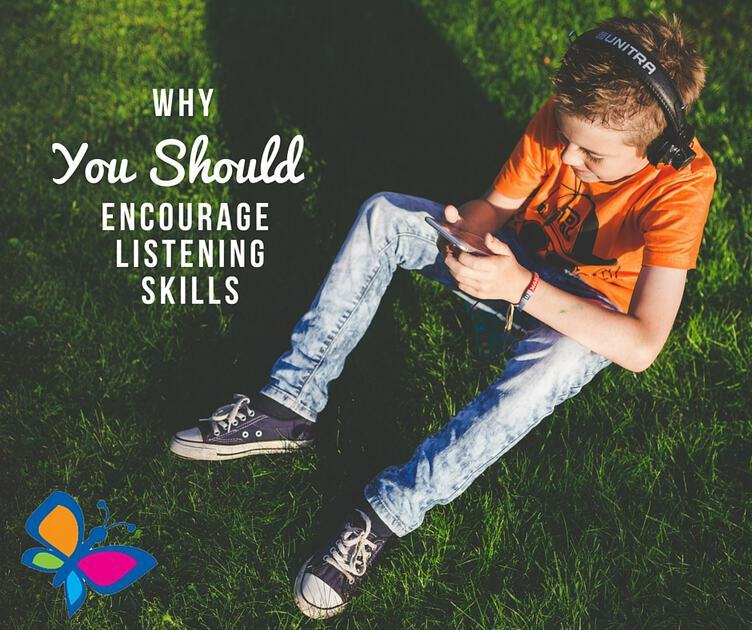 It can be infuriating when your child doesn’t listen to you and, while this can sometimes be because she’s so absorbed in what she’s doing she’s blocked out all distractions, it could be she needs to improve her listening skills. It’s comforting to know you can play an active role in this; the better she gets the more effectively she’ll learn and the easier she’ll find it to make and keep friends. 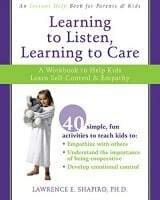 Learning to Listen, Learning to Care: A Workbook to Help Kids Learn Self-Control and Empathy When it comes to teaching kids to behave well, the “why” is as important as the “how.” In Learning to Listen, Learning to Care, children learn why it is important to follow rules and behave considerately toward others. This cultivates empathy, which contributes not just to good behavior, but to academic and social success. By working through the fun and engaging exercises in this book, kids learn how to recognize the impact of their behavior on others, express emotion in appropriate ways, and compromise with family and friends. Behavioral problems among children are at an all-time high in the US. Parents of nearly 2.7 million children say that their kids suffer from severe emotional or behavioral problems that interfere with their family life or learning. A staggering 50 percent of counseling referrals are for behavioral problems. Empathy is the antidote to many of them, according to child psychologist and author Lawrence Shapiro. In Learning to Listen, Learning to Care, he teaches the empathy and self-control that can reduce behavioral problems and lead to long-term success. This book is appropriate for kids between the ages of six and twelve. Tracy Enright is a UK-based freelance writer with a special interest in child development, ageing and diversity issues. She is the mother of two small children. She is working hard to instil a love of reading and learning in her children and is pleased at the results but suspects she may have picked up a case of dinosaur fever along the way. She has recently taken the opportunity to go back into education, studying psychology and sociology, believing that the best way to get children to do something is to show them how much fun it is. Tracy has twenty years experience working in human resources and has spent much of her career supporting managers in dealing with some of the trickier problems of managing people. She is a Chartered Member of the Institute of Personnel and Development.